Wonderful Widgeting Websites – The global community for audio culture. Festival crew, Bestival have been dropping their epic mix series onto their Besti-Blog. Premos fan blog has been making good use of the Mixcloud widget since they joined the site early this year. 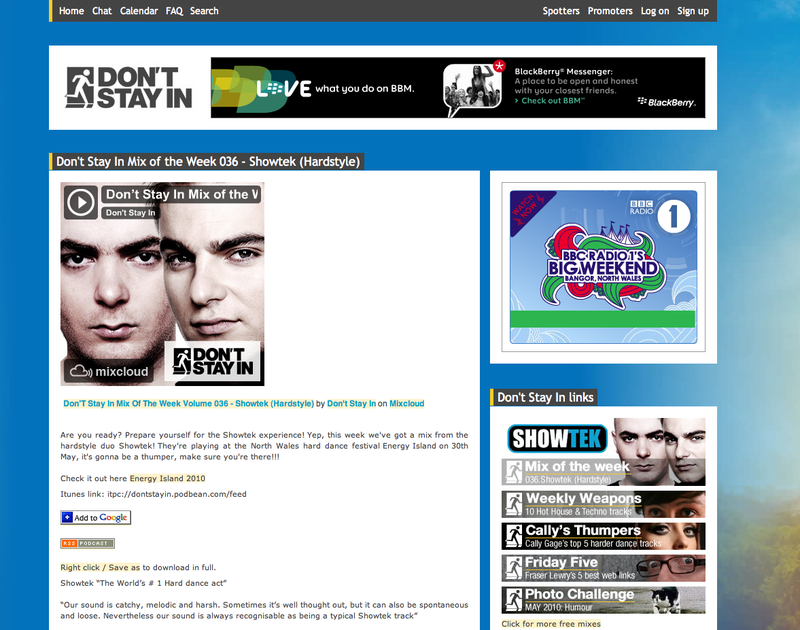 Don’t Stay In have been using the Mixcloud to host and stream their Mix of the Week series on their site. You can embed any Cloudcast player into any HTML site, blog or post by hitting the share button (top right on any Cloudcast page) and simply grabbing the code!